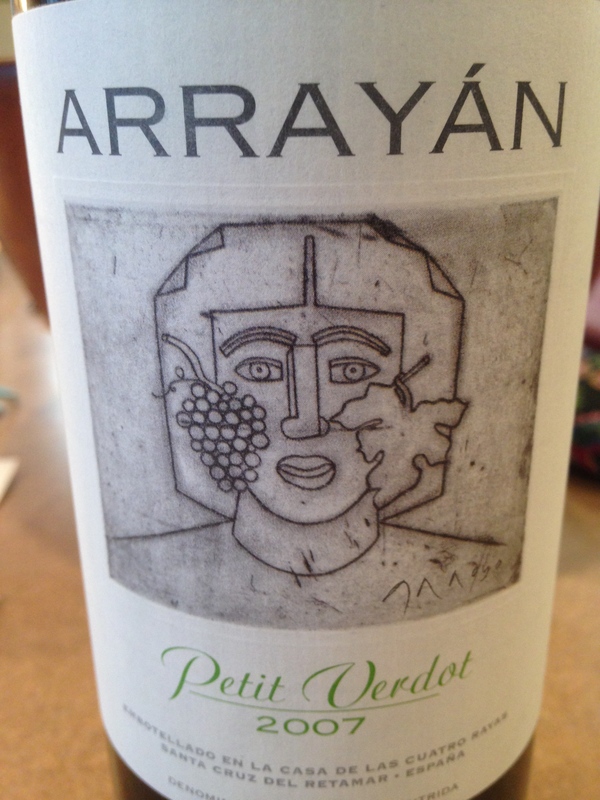 You don’t often come across a 100% Petit Verdot, it is used mainly as a blend in Bordeaux style wines. It’s a fiercely tannic, bold and dark wine used to bulk up other, less endowed wines needing a little darkening and structure. If you do find one that is all PV, try it and you’ll see what I’m on about. Typical for the variety this wine was a tannic monster with an earthy nose and some funk on the initial attack. Pencil shavings of wood and graphite add to the olfactory experience and wild flowers come up on the mid palate with a blueberry component that is quite pronounced. On the back end is where ripe plums came into the picture. This wine was very dark in the glass, full of backbone and needing a fatty steak to mellow it out. I am going with 89 points and 3 stars for this $27 offering from Spain. I think anyone who is trying to expand their palates needs a good dose of 100% Petit Verdot to appreciate its power and potential to beef up other wines. Ps. 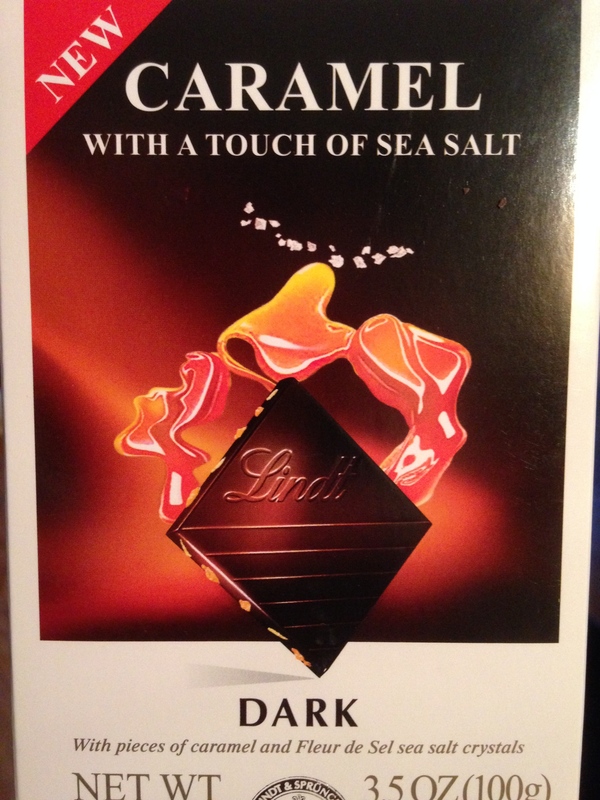 I finished the bottle up with some new Lindt chocolate that rocked , Caramel with a touch of Sea Salt, ever so crunchy, ever so smooth. Salut….